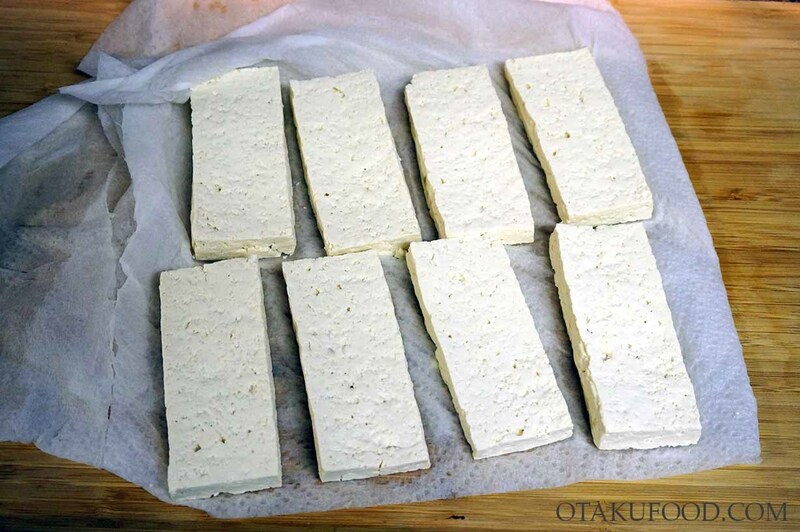 Cut the tofu into thin blocks, then wrap in paper towels for 15 minutes to pull out excess moisture. Add the dashi, rice vinegar, soy sauce, mirin and sugar in a small pot and bring to a boil. Let simmer until sugar has dissolved, then remove from heat and set aside. Place the oil to a wide pan over medium heat. Once hot, add the tofu and cook until the bottom has browned, about 5 minutes. Flip and cook about 5 minutes more until browned. Transfer to a paper towel to drain off excess oil. Finely shred the vegetables. 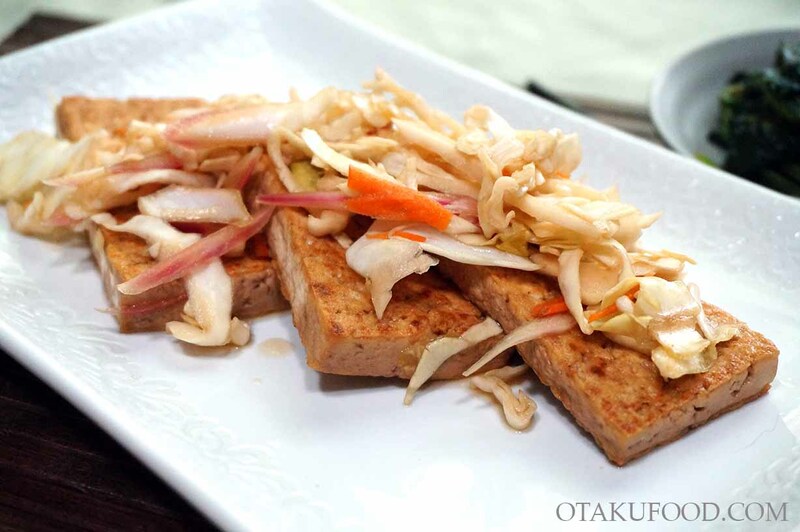 Arrange the tofu in the bottom of a wide dish, then place the vegetables on top. Add the sauce, then cover and place in the fridge to marinate for at least 2 hours. Nanban, or nanbansu, is a sweet and sour vinegar flavor. Popular with fried chicken, its a great sauce to use in a variety of dishes. Lately I’ve been craving cold food to eat in the summer heat, so this marinated tofu recipe is my take for a really satisfying summer meal. I like using tofu, since it really soaks in the flavor from the marinade and transforms the taste, but if you’re not a tofu fan, you can try chicken instead. Just cook the chicken ahead of time and let marinate in the sauce before serving. You can enjoy this dish hot or cold, but my favorite is chilled! 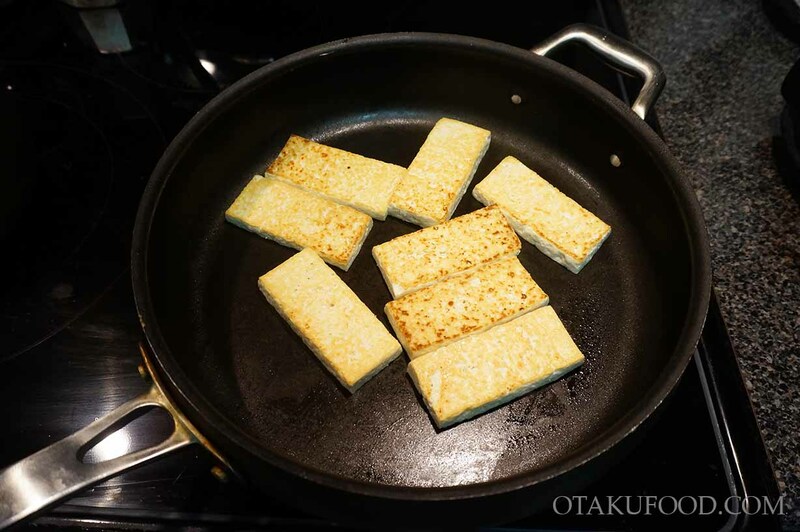 – Cut the tofu into thin blocks, then wrap in paper towels for 15 minutes to pull out excess moisture. 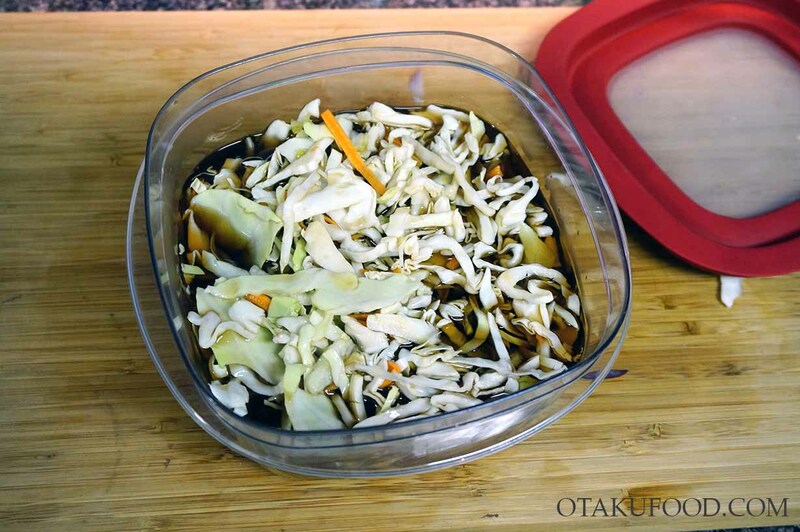 – Add the dashi, rice vinegar, soy sauce, mirin and sugar in a small pot and bring to a boil. Let simmer until sugar has dissolved, then remove from heat and set aside. 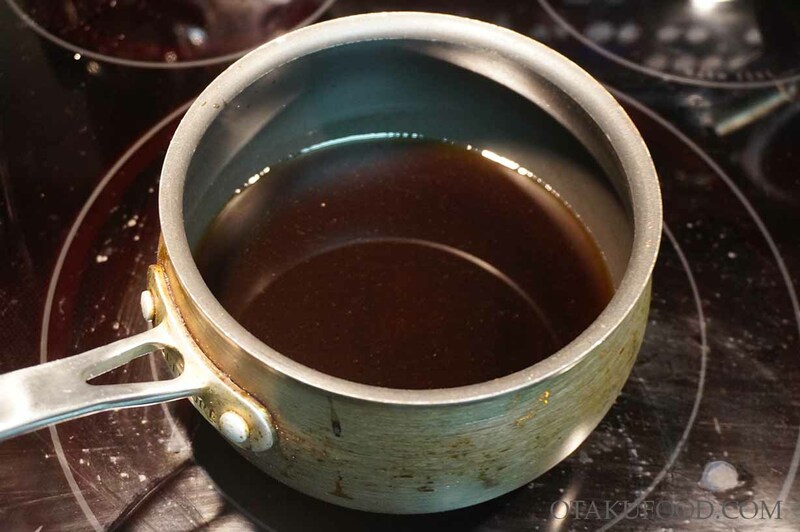 – Place the oil to a wide pan over medium heat. Once hot, add the tofu and cook until the bottom has browned, about 5 minutes. Flip and cook about 5 minutes more until the other side has browned. Transfer to a paper towel to drain off excess oil. 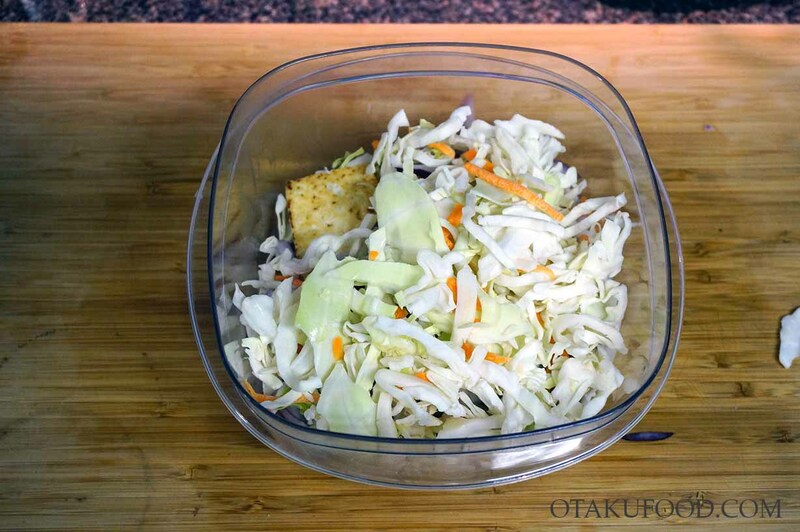 – Finely shred the vegetables. 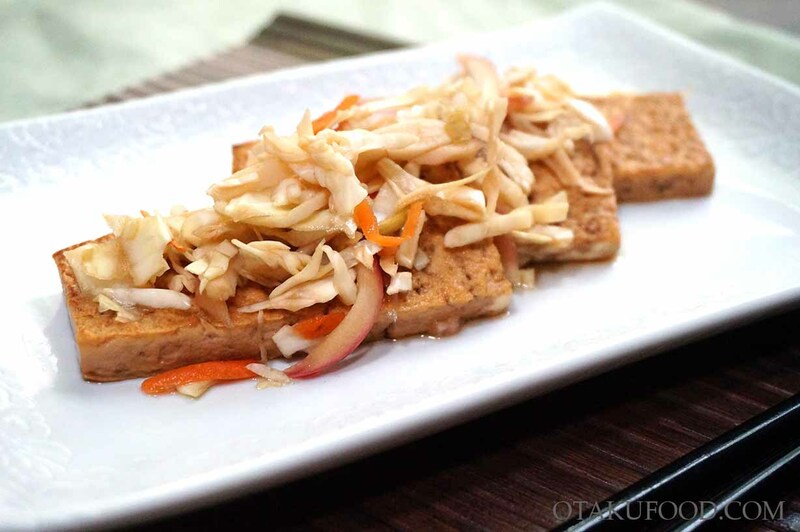 – Arrange the tofu in the bottom of a wide dish, then place the vegetables on top. 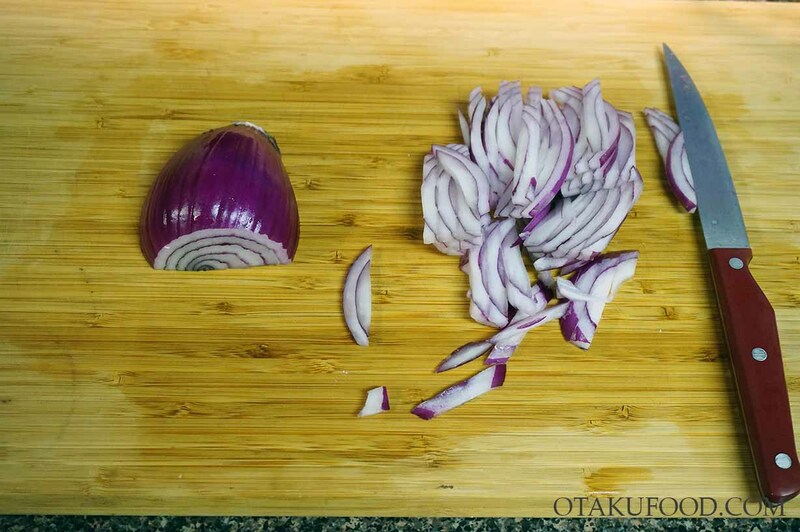 – Add the sauce, then cover and place in the fridge to marinate for at least 2 hours. 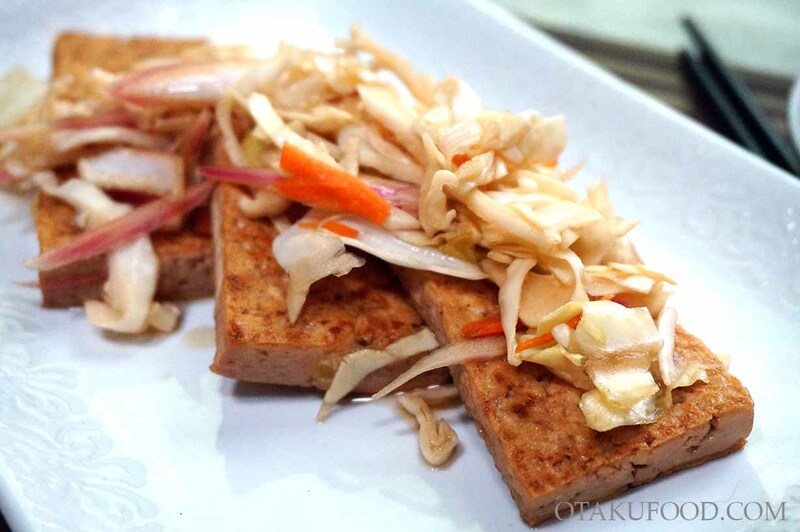 – When ready to eat, serve hot or cold, arranging the tofu on a plate, then topping with the vegetables. Place the remaining sauce in a small bowl to drizzle more on as desired.